Demitasse is the French and Italian name for “half-cup”. It describes the small cup which hold 2 to 3.5 oz. of espresso – the smallest coffee cups available. A demitasse spoon is also called espresso spoon and is used for the No.1 Italian coffee: Espresso. 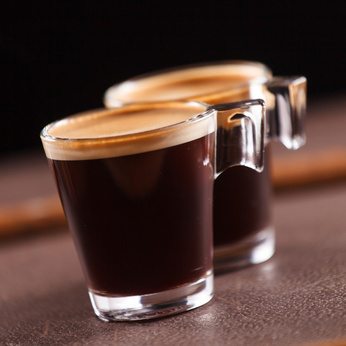 An espresso is usually served after dinner in a porcelain cup or an espresso shot glass. The espesso spoons are used to stir sugar, milk, or cream into the espresso. Demitasse spoons are a type of kitchen ware used Europe and the United States. Material: The demitasse spoon is usually made of stainless steel, polished silver or gold. The bowl is mostly the same but the handle can different. It can be very simple, has artful ornates or patterns. Rating – Average user rating on Amazon.comThis can be very helpful in deciding if people are satisfied with their purchase.